The collection is the result of deliberation and debate across cultures within the membership of Habitat International Coalition (HIC). 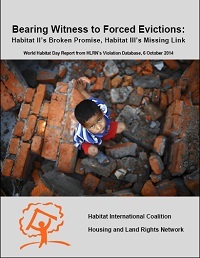 The purpose of that debate—and this reference work—have been to consolidate and harmonize understanding of the various terms of art confronted in the work of HIC and its Members in the fields of habitat (i.e., housing, land, natural resources, governance and sustainable development). Some of the terms contained in the HICtionary have been the subject of many years of debate across the platform if HIC structures and forums to reach agreement on specialized habitat concepts and their shorthand terminology that can be applied across regions. Other terms derive their definitions from reliable authoritative sources outside HIC, especially referencing legal source where appropriate. 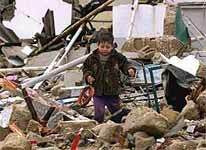 For example, the HICtionary definition of “social production of habitat” is the product of a debate that began in HIC’s General Assembly at Mexico City in 1991, and culminated in its General Assembly at Nairobi in 2007. Other definitions include excerpts from international instruments to ensure accuracy and consistency with the law and transnational usage. 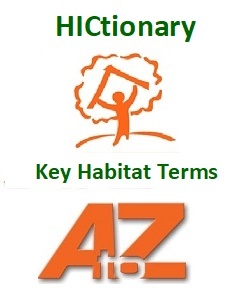 The HICtionary is intended to be a living reference and subject for further debate and development of current terminology related to habitat. Your contribution and/or contestation of terms and their definitions are welcome and encouraged. To contribute a term or definition, or to contest and definition im this edition of the HICtionary, please contact the HIC-HLRNteam at hlrn@hlrn.org.